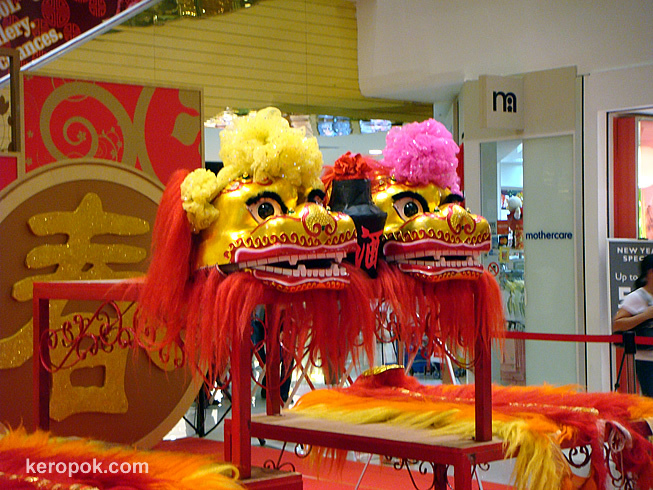 Wonderful figures for Chinese New Year...so traditional and colourful! Looks like they are all prepared for Chinese New Year! How the spirit in Singapore. Must be fun now. Very nice pair with bright vibrant colours colours.